You know I love to go to the theatre. 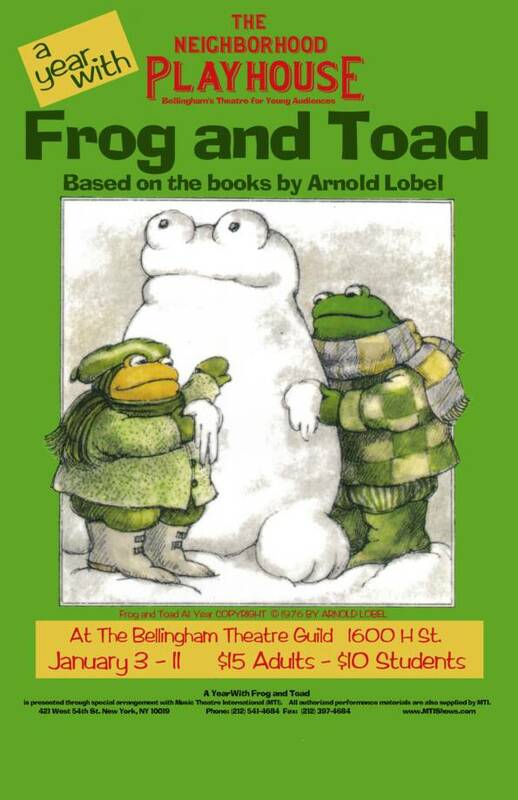 I noticed a poster around Christmas for this production, which is based on a series of children’s books I remember, the Frog and Toad adventures written & illustrated by Arnold Lobel. I loved the idea of a play built on these sweet, simple stories, and the price was right. When I had time to think of it a little more, I wondered if “children’s theatre” was really something I wanted to see; but they did bill it as being fun for adults, too. Shrug. My parents and I went on a Sunday afternoon… and I’m so glad we did! Frog and Toad’s adventures have made it to musical theatre, and only five actors play all the roles: Frog and Toad, of course, are joined by a menagerie of birds, moles, turtle, lizard, snail and squirrel, which roles are shared between the other three. We thought the musical format was “inspired” (my dad’s word), but it turns out to be the inspired choice not of The Neighborhood Playhouse but of Lobel’s daughter, who commissioned the piece in 2000, according to Wikipedia, which also points out that this is a popular choice for community theatre groups, as we saw here. It is really sweet, and cute – in the spirit of the original books. 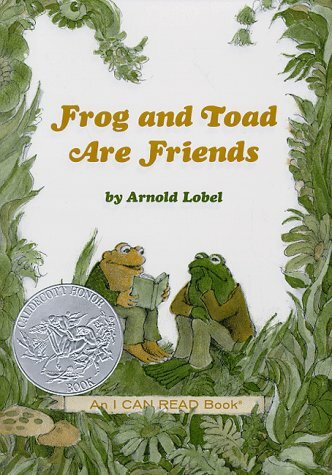 Frog and Toad are neighbors and good friends, and share an entirely good-hearted, caring day-to-day life. They interact with the other woodland creatures in good-hearted ways; it is positively heartwarming (cynics beware), and in musical form, both hilarious and charming. I found it ran a little long for the age group that formed the audience, at nearly two hours. But the performances – singing, dancing and acting – were quite seriously good, far better than the under-10-years crowd would have required, I suppose, and plenty impressive to those of us adults unaccompanied by babes. My favorite character was Snail. I think it’s great that TNP is out there producing such quality, affordable theatre; and I liked the venue, the Bellingham Theatre Guild, an intimate setting in a former church. I will be looking for more. Hooray for the new hometown!